Current news about Flexible Assembly Systems Inc. This blog includes details about the current manufacturing landscape and new product releases including air screwdrivers, electric screwdrivers, torque screwdrivers, cordless screwdrivers, pulse tools, torque wrenches, and other related equipment. Stay tuned for more news! SAN DIEGO - (January 17, 2012) Over the years Flexible Assembly Systems has worked with many customers. We’re often asked which electric torque screwdriver is the best. One of the top recommended assembly tools is the brushless torque screwdriver. 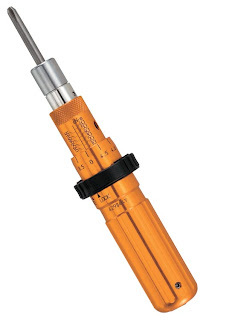 Torque screwdrivers designed for high volume assembly come in two popular designs: brushless and electric motor. Both are good, serve their purpose and will increase productivity in any assembly process. The real difference comes down to the longevity of the motor inside them. With a brushless motor, there is no maintenance required on the motor since there are no carbon brushes to worry about. Assembly tool failure is virtually non-existent, saving you time and money in the long run. Flexible Automated Solutions, a division of Flexible Assembly Systems, announces the launch of their new Robotic Automation Technology website http://flexibleautomated.com/. SAN DIEGO (October 10, 2011) - Flexible Assembly Systems announces the newly acquired distribution for Stanley-Proto industrial line of products. As a leader in torque assembly tools, Flexible Assembly is a strategic partner making torque tools easily accessible to professionals in heavy-duty industrial sectors such as automotive, aerospace, refineries, fleet transportation and manufacturing. Stanley-Proto is known for making high quality durable precision tools, and has over 100 years of experience to back them up. With numerous tool and design patents, rest assured that Stanley-Proto industrial tools are professional grade. Flexible Assembly Systems offers Stanley-Proto Micrometer torque wrenches with fixed and ratcheting heads, ranging from 10 In Lb - 700 Ft Lb and an accuracy of +/- 3% CW +/- 6% CCW. Stanley-Proto micrometer torque wrenches are calibrated for use where extreme precision and accuracy are required. Stanley-Proto also claims high-grade steel makes their torque tools more durable and wear-resistant than the competition. Flexible Assembly Systems Inc., headquartered in San Diego, CA is a leading international distributor and supplier of light industry assembly tools and systems. Companies worldwide have turned to Flexible Assembly Systems for help in meeting their assembly and production needs. If your company is in need of electric screwdrivers, pneumatic screwdrivers, torque testers, torque screwdrivers, automotive tools, finishing equipment, ergonomic handling and lifting systems, or service and support on existing equipment, let the experienced and knowledgeable staff at Flexible help you. (San Diego, CA - June 20, 2011) Manufacturing in the U.S. might be down according to the latest Institute for Supply Management PMI index, but the competition for jobs, projects and contracts are up. (SAN DIEGO - April 11, 2011) Flexible Assembly Systems announced the launch of their new Engineered Systems microsite. The site focuses on custom solutions for automated manufacturing. Flexible Assembly's Engineered Systems division specializes in custom automation solutions for today's growing manufacturing sectors, including: Automotive, Aerospace, Electronics, Biomedical, Packaging, Wind and Solar Energy. SAN DIEGO - Companies are looking for ways to be more efficient and productive in their assembly process. A way to do this is by using a torque screwdriver as part of the manufacturing process. 1. Productivity – There’s a torque screwdriver for every assembly application. 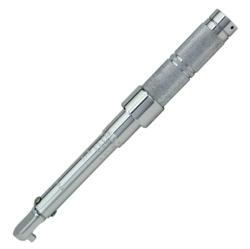 Electric Torque Screwdriver, Air Torque Screwdriver, Cordless Torque Screwdriver, and a manual torque screwdriver have specific applications that will help speed up the assembly process. 2. Safety – Using the correct torque screwdriver will reduce worker injuries and keep your production on schedule. For high volume manufacturing, an ergonomic workstation can further increase the safety and productivity. 3. Quality Control – Using a torque screwdriver in critical fastening applications where a specific torque value is required will ensure the assembly process yields a high quality product. A torque screwdriver is much more accurate than a conventional screwdriver and takes the guess work out of “did I tighten the screws correctly”? 4. Reduction in Failures and Returns – Using a torque screwdriver will ensure assembly is being done to the highest level. This will keep the number of product failures and returns to a minimum. 5. Cost – A torque screwdriver will pay for itself 100 times over if used correctly during the assembly process. The longevity of today’s high quality torque screwdriver will also ensure capital expenditures are kept at a minimum. To learn more about Flexible Assembly Systems please visit http://www.FlexibleAssembly.com. Flexible Assembly Systems has been working together with companies requiring light-assembly solutions since 2003. Flexible Assembly Systems product list is extensive and includes Torque Screwdrivers, Electric Screwdrivers, Assembly Tools, Robotic Assembly, Automotive Tools, Torque Testers, Torque Products, Bits and Fastener Systems, Workplace and ESD Systems, and Material Handling Systems.